Chrome extensions are really very important for every blogger who writes articles and post in our blog. I am searching a long time about best chrome extension for blogging but I can’t find any blog that satisfies me but after long research finally I found some best extension for bloggers that really helps me in blogging field. In this blog is also tell about those plugins that help in getting YouTube views, subscribers, tags or analysis. This is the best extension for youtubers. By using this you can check your competitors what they are using tags, engagements, social share and channel audit. You can also check average view per hour, SEO score of competitors. If we talking about how to do SEO of own video. 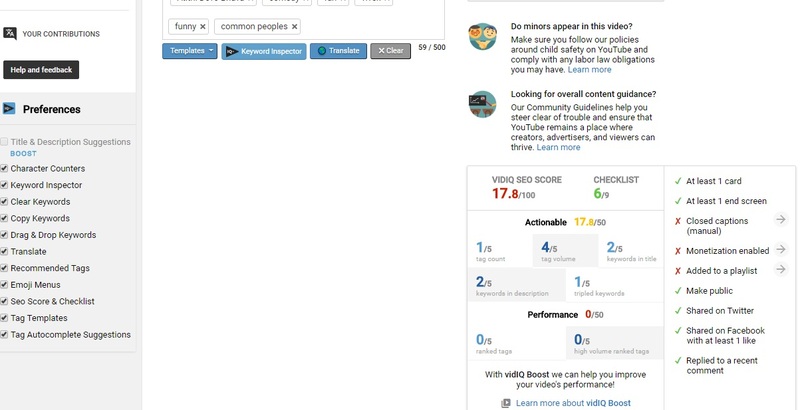 When you editing in your dashboard you can check the SEO score of your video. This extension also suggests high searching keywords related your video title. By using this extension you can also check your viewer’s attention when they watching more your videos in a day. Publish your video by analyzing data to get a view. You can also check trending topics in youtube and tags also. This extension very good for youtuber if you are using the paid version of this extension then you get for a feature to optimize your video in youtube. It shows the expected data and incomes of youtubers. Here You can explore any youtuber, Twitter users, Instagram user, facebook page, data. How much he is growing and what they using strategies. Here you can check any youtuber grade, youtube channel ranking, video view rank, estimated monthly earnings and yearly earnings. You can also track video views and its per day earning. Keyword everywhere tool is such great for bloggers. This tool provides your best suggestions for blog and search volume in this picture you can see how I am searching topic for a blog using keyword everywhere tool extension. You can add this extension in your chrome browser easily by finding on the app store. This extension shows all results search volume and CPC of that keywords. This is a totally free chrome extension. In this extension, you can shortlist your topic from directly search engine by clicking on the star. This plugin has also a great feature to inspect your competitors blog main targeted keywords. Amazon keyword research tools basically useful for affiliate website or bloggers. Who post contents about mobile, gadgets, fashion, ebooks, travel etc. through this extension you can generate keywords related to your topic. To use this extension click on it and after open new tab writes your keyword and select your Amazon website according to the country where you want to target your keyword and see best results with rank. Google input tool best tool ever for regional bloggers. It allows bloggers to write content in regional language. Many bloggers in India started Hindi blog and they confused how to write in Hindi on the computer but this tool makes it very easy to write the article in Hindi just add in your chrome browser and open google docs and start writing in your in English Hindi and this extension converted your content in Hindi. grammar tool is one of the best tool for bloggers, contents writers or e-book writers. This tool detects or corrects your grammar mistakes automatically. You can install easily in your chrome browser. After installing it sign in your Google account or Facebook account and use it. Email drop plugin is one of best extension in my eyes for who want to do email marketing and promotions. To using this extension you can collect email data which is present in the natural form. 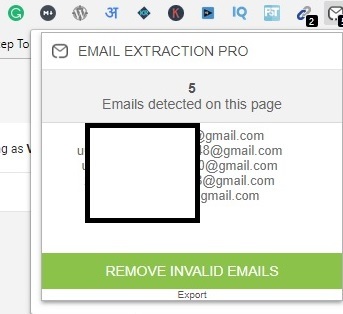 This extension detects all email account. But don’t try to misuse this extension respect everyone privacy. The last and bonus extension for you is antiminer. If you are using these extensions in your chrome browser then you are really doing smart work. These extensions not for normal users this is only for bloggers and youtubers who is worry about SEO of its blog and videos. 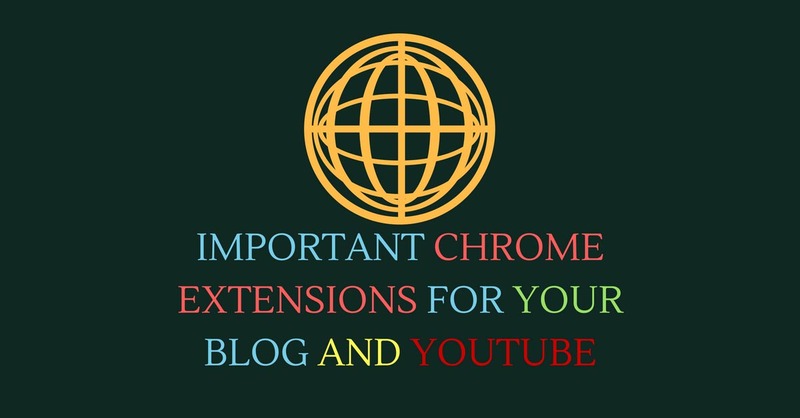 I try to explain about important extensions Which I am using in my chrome browser and my experience is very good with these plugins that’s why I write and share information about it. 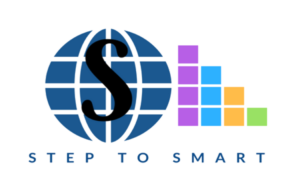 If you are new in my blog please subscribe by email to net more informative blogs about SEO and others categories.